I’ve always journaled in one form or another. 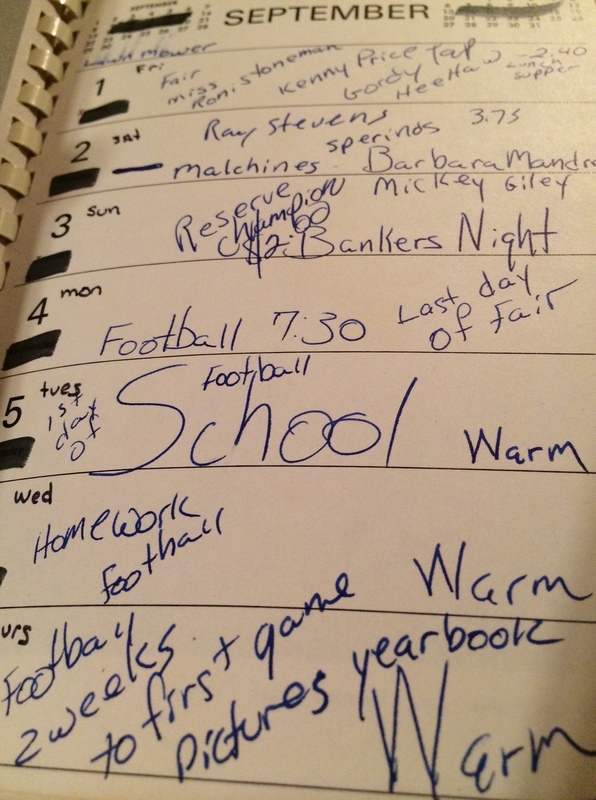 Here is an early version of what I recorded in my daily planner, circa 1978. Perhaps I am a product of my environment. I remember my Dad always wrote things down. My grandfather was a farmer and he usually had a notebook with a pen or pencil (from a seed corn company or farm equipment company) handy. These were practical things – but learning tools nonetheless. I process a lot of thoughts on important things either by talking through it with others (sorry for those who have to hear my spewing) or drawing or writing it down (frequently in outline form). 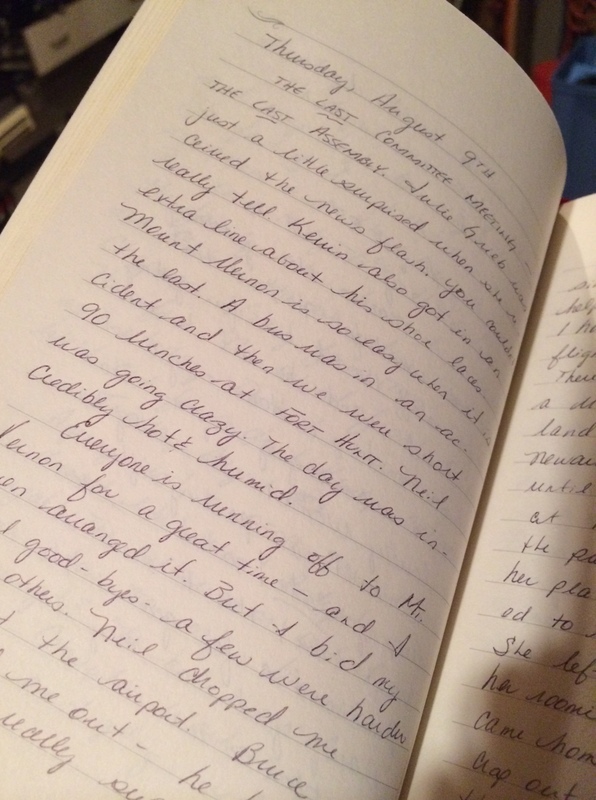 This blog is another form of journaling. Recently I went through a continuing education program that had a structured journaling exercise. I had not done anything like it. The theme was “journaling is simple” – pen, paper and start. Don’t try to over think it, make it into a letter or beautiful memoir that will be published in 50 years. Just write. But there was also a structured set of questions in a later section. It was powerful in that it was introspective and got to the core essence of the writing, but also captured feelings, fears and dreams that perhaps had been difficult to articulate. See the Presencing Institute U Journaling Practice and give it a try it—you’ll like it! Did not know that you journaled as a kid. At what age did you start? Things you hide from your parents. Thanks for sharing, Mark. Another glimpse into what makes you YOU!